Google is giving itself the digital equivalent of 100 lashes by downgrading the search result ranking of the company's own Web browser, Google Chrome, for 60 days. The decision came after recent reports that a marketing company working for Google encouraged bloggers to write about Google Chrome for compensation. The practice of creating sponsored posts with the primary intent of gaming search results runs afoul of Google's website quality guidelines. So, just as Google would do with any other company that broke its rules, the search giant punished Chrome's site ranking in Google search results--known as a site's PageRank. Punishing its own Web browser may make up for Google's faux pas in the eyes of the media and may even make Google employees feel that their company is doing the right thing. But for the average user, Google's self-flagellation makes it harder to find and download Chrome, even if you're specifically searching for the popular Web browser. Google reportedly bought online video ads from a digital media agency called Essence Digital. Essence then reportedly hired another company called Unruly to carry out Google's video ad campaign, according to Search Engine Land. The end result was that a number of blogs wrote positive posts (with the video embedded) about Google Chrome for compensation--the reward was apparently Amazon gift cards, SEL said in a separate report. Google doesn't specifically state it will punish a site's PageRank for creating sponsored posts. The problems start when paid posts start linking back to the sponsored website--in this case www.google.com/chrome. 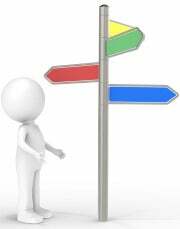 Links pointing to a specific site are one of the primary ways that Google judges a site's PageRank. The more links a site has pointing at it, the thinking goes, the higher quality it must be. Let's say Acme company is paying for bloggers to link to acmecompany.com. Google could see those paid links and determine that acmecompany.com was a popular site on the Web and thus increase its PageRank. In reality, however, the fictitious company I made up to illustrate a point, Acme, was artificially boosting its Google ranking to attract more customers. To fight against this type of abuse, Google's own watchdog team says it will penalize a site's PageRank if it is caught participating in a paid link scheme. Last February, for example, Google downgraded department store retailer, JC Penney after The New York Times uncovered an apparent paid link scheme. JC Penney denied any direct knowledge of the PageRank efforts claiming a third-party was involved. In Chrome's case, the decision to downgrade the browser's PageRank appears to be more about the principle of paid links than actual misdeeds. 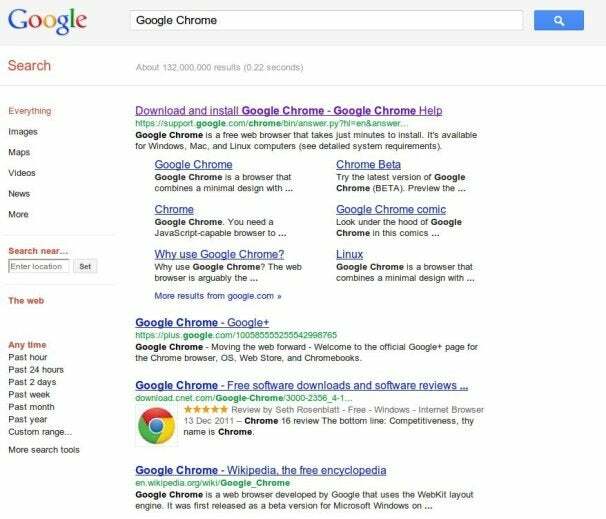 Matt Cutts, Google's chief webspam fighter, said his team found only one paid link pointing back to Chrome's landing page, hardly enough to affect Google's search results. Nevertheless, that one link violates Google's quality guidelines so now it is a little bit harder to find and download Google Chrome using a Google search. In my tests, Google.com/Chrome ranks on Google's fourth page of results for the search term "web browser" and the sixth page for "browser." Chrome typically ranks on the first page for both results. Do Consumers Win With Remedy? The annoying problem starts when a user searches for "Chrome" or "Google Chrome." In those cases, the first result is currently a Google support page called "Download and install Google Chrome" instead of the typical first result, Google.com/Chrome. So instead of a top search result that gets you directly to where you want to go, you end up on a help page that has a second link you have to click to get to the page you really want. Two mouse clicks (plus a little bit of reading to find the link you want) may not be such a big deal, but it adds another hassle for users in what should be a relatively easy process. I suppose Google was in a difficult position with this choice. If the company penalizes Chrome, then users will have a slightly harder time using Google search. But if the company doesn't penalize Chrome it will be accused of hypocrisy, or worse, favoring its own sites at a time when federal regulators are looking at Google as a potential antitrust target. So for the next 60 days users will have to muddle through a slightly less useful Google search result in the name of fairness. Unless, of course, your primary search engine is Microsoft Bing where the current top search result for "chrome" and "google chrome" is currently, Google.com/Chrome.